Finding a particular detail in your notes after a long brainstorming session is often like trying to find a needle in a haystack- and yet, such notes are essential in one’s ability to deliver on the important action points from a meeting. A new UAE-based startup Wrappup is now trying to alleviate this particular point for executives. 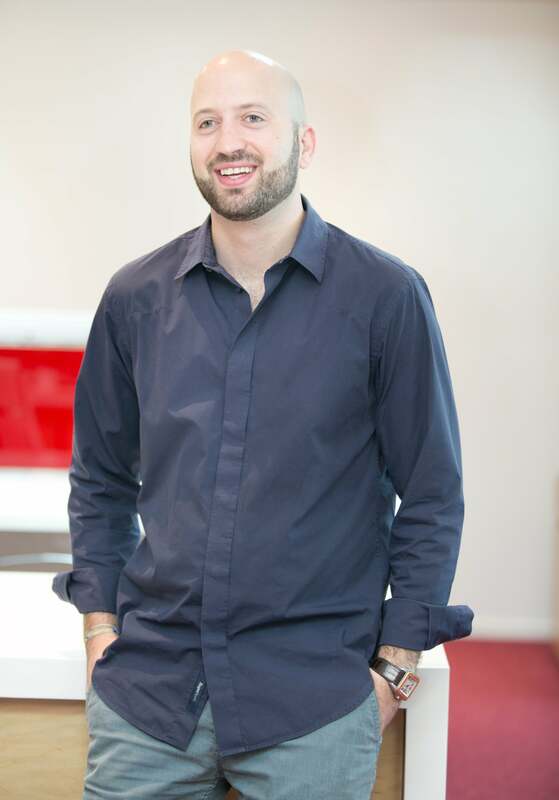 While at Bain and Company Middle East, Wrappup founder and CEO Rami Salman -whose background is in management and strategy consulting- was in a meeting with other execs, and he noted how, when the CEO said something important, everyone struggled to pay attention to what was being said, as they were also trying to note down information at the same time. At that moment, Salman thought: “Hasn’t technology already solved this? 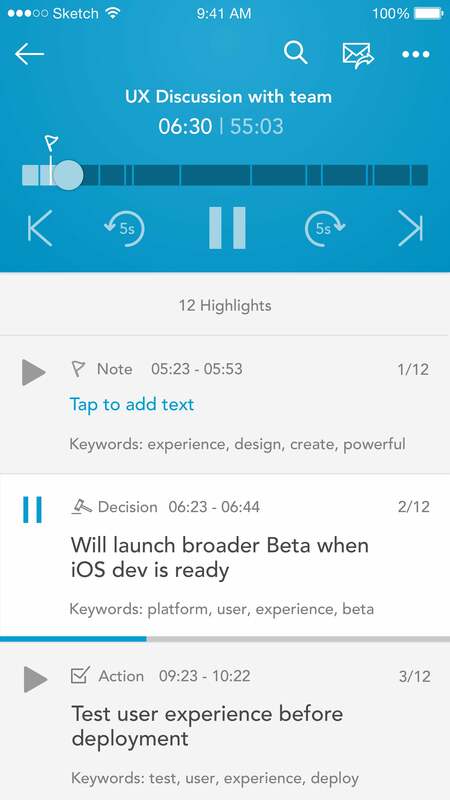 Why wasn’t there a tool that could record discussion, flag important moments, playback those important moments to write your notes [at a later time], and send it out to all participants for reference and review?” With that idea in mind, Salman decided to attend Angelhack Dubai Hackathon 2015, which was where he met his co-founders Lead Back-End Developer Ayush Chordia and Lead Front-End Developer Rishav Jalan, and together, they built a fully working prototype of Wrappup- in less than 24 hours. Salman sees Wrappup as a panacea for results-oriented meetings, and saw its potential value as he started using it in his own meetings at Bain: “I was able to summarize very complex technical discussions in a pinch. I could summarize a two-hour complex steering committee in 10 minutes in the car ride back to the airport. 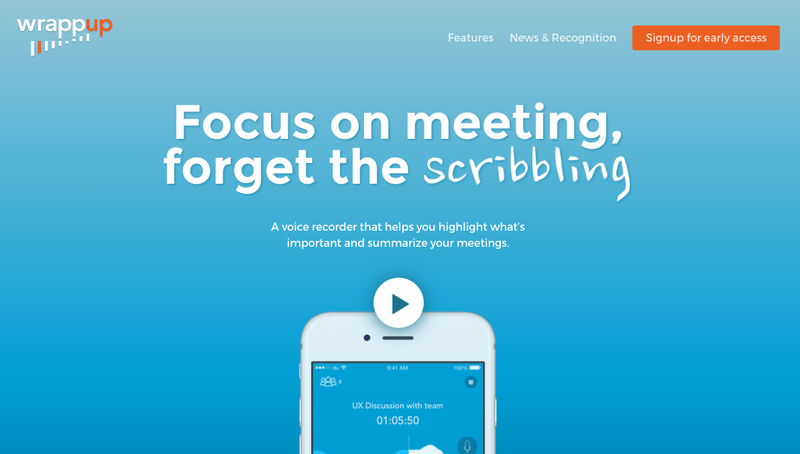 I figured, how many meetings could improve if they used this product?” The app works by letting users mark significant moments instead of scribbling down notes. 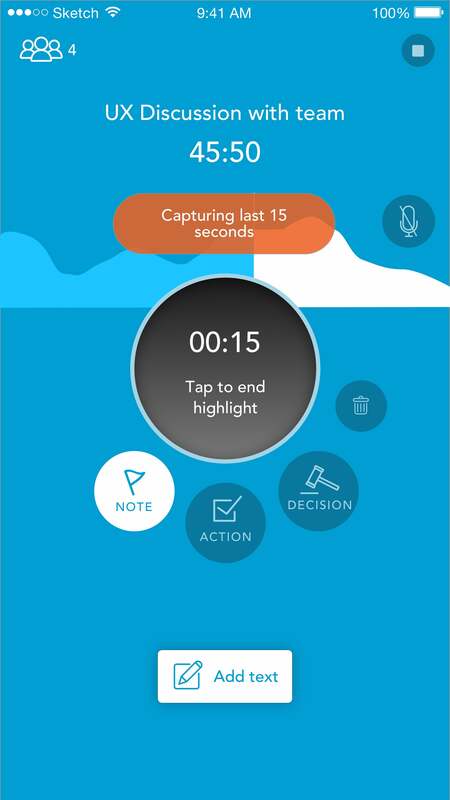 As well as with the app’s proprietary speaker recognition algorithm, Wrappup uses machine learning to identify who is speaking throughout a meeting based on their “voice-print,” segmenting hours of discussion by speakers, and even lets Wrappup build efficiency metrics based on speech content for each person. And Wrappup’s efforts haven’t gone unnoticed- the team recently raised seed funding of US$800,000 with quite an impressive list of investors: BECO Capital leads the round, joined by 500 Startups, Arzan VC, Dubai Silicon Oasis, Dubai Angel Network, Hala Fadel, WOMENA and Odin Financial Advisors. 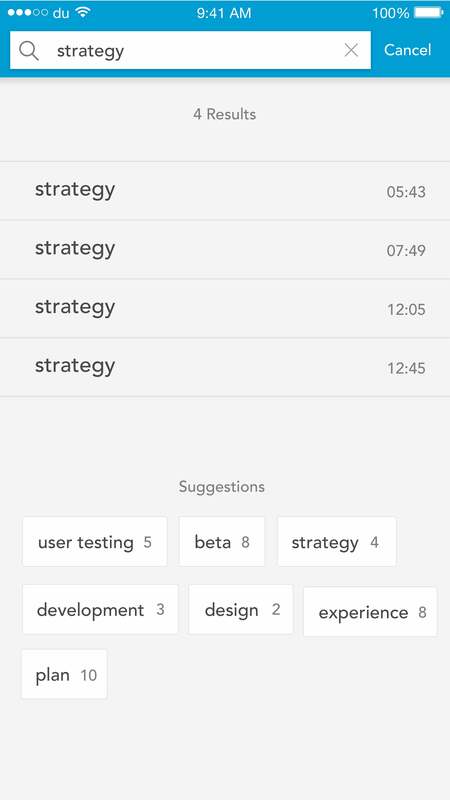 Since securing its funding in June this year, the team has been in redesign mode, and are currently launching their private beta app in batches for users who signed up for early access. Though it’s still in pre-revenue phase, Salman says there’s a high demand for Wrappup’s offerings, but the startup is currently “hyper focused on building a useful product,” and so, for now, the team is looking to patiently grow its user base while listening to customer feedback for new iterations. Salman and the team plan to deploy Wrappup as a freemium SaaS product for individuals and as for SMEs, its core features will be available for free, while certain functionalities will be available on a premium plan. On challenges they’ve faced developing the app, Salman and Jalan agree it was discerning what drives a psychological habit change, to getting users from naturally taking notes during a meeting to using the Wrappup app. This pushes the team to improve the product constantly, with Jalan saying the team has hackathons every few weeks to test or implement new features, and by doing so, build an MVP and get feedback. Chordia adds building a platform to use speech as data was a hurdle, plus utilizing AI and natural language on speech was a nascent space too. Salman also highlights the team’s diverse skillset- Jalan’s Android developer skillset led to the team starting work on that operating system first, and Chordia’s expertise was in machine learning and AI, so they, as Salman puts it, “unleashed him” in that particular space. They’ve also narrowed their focus to mobile only for now, as it’s the platform they’ve invested in learning about. “Technology can only be an aid to a product, unless it doesn’t satisfy their innate need, people won’t come back on the platform. This means, we have to continue evolving ourselves and build based on what our customers are saying,” says Chordia. Hiring and growing the startup’s private beta program is the team’s central focus, as they continue to look for partners that can add value to the app, while also accepting applications for teams or individuals who want access to the app. Planned beta cycles will continue, as well as integration with other platforms for web/online meetings and connecting with products like Asana and Slack. And plans for the long term? “To destroy meeting inefficiency forever.” We certainly like the sound of that. “Focus on applications that have frequent utility. Have a clear strategy on how you will be able to stand out from the crowd of applications and reach your target audience. Don’t overthink your product, the simpler the better. Make sure you have the right engineering and domain expertise to execute your plan. Spend time interacting with potential customers to understand their needs before building something that they may not use.